This show was broadcast on January 8, 2014. Gary Sick: Stop Schumer from handing US military command to Israel! 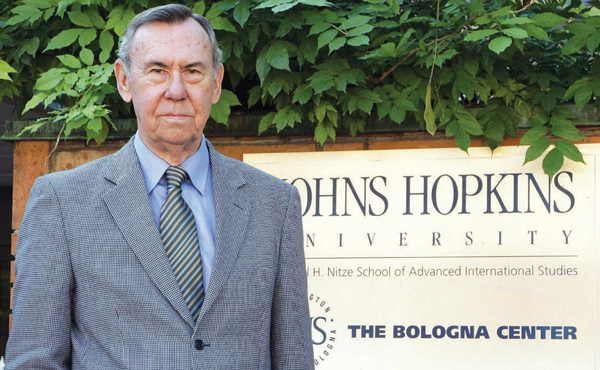 Columbia University professor Gary Sick, who served as top Iran expert on the National Security Council under three US presidents, is still widely considered the dean of American Iran experts. That’s why it’s so significant that Dr. Sick has written to Senator Chuck Schumer blasting Schumer’s new bill that would effectively deprive the President of his authority as Commander-in-Chief, strip Congress of its power to declare war, and turn the US armed forces over to Israeli Prime Minister Netanyahu, who apparently wants to spill American blood and treasure in a Zionist war on Iran. An outraged Gary Sick recently wrote to Chuck Schumer that the so-called Nuclear-Free Iran Act “outsources any decision about resort to military action to the government of Israel, by committing the United States in advance to support any military action by Israel.” He points out that Schumer’s bill is designed to torpedo the Iran nuclear negotiations and end the peace process. 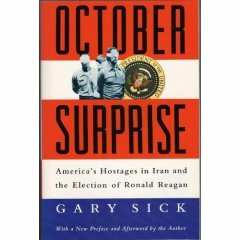 During this interview we consider the history of US-Iran relations leading to the tentative nuclear breakthrough; discuss Dr. Sick’s classic book October Surprise which details the Bush crime family’s treasonous 1980 coup d’état against President Carter; and end the show by disagreeing about 9/11, but agreeing that Schumer’s insane bill must be stopped. Senate Democrats: Don’t help the Republicans start another war. This entry was posted on Monday, January 6th, 2014 at 1:04 pm	and is filed under Anti-War, Censorship-Propaganda, False Flag/Fake Terror, Freedom, Justice, Kevin Barrett, News, Nuke War - Nukes, Protest, War Crimes. You can follow any responses to this entry through the RSS 2.0 feed.